Hopefully this is in the proper area. Please move, if needed. PS - don't be concerned if the money goes beyond his goal. This is going to be a long-term thing for him, with multiple treatments. 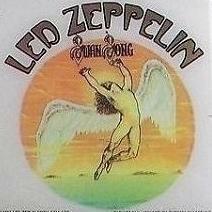 Sorry to read about this, haven't been buying for as long or as much as some have been, but he is a great person to get Led Zeppelin memorabilia from, every time I have ordered Led Zeppelin stuff from him, he always has sent neat little extra Led Zeppelin stuff with my order which is very cool, I like buying from him for that reason, and there is always a hand written thank you, very nice. Went ahead and ordered from his site this week. Many years ago I joined a couple of other forums (now defunct) which were linked to that webpage. Anyone ever hear from Bud and Gypsy?